Clean up after a Hard Job with Some Professional Builders Waste Disposal in Chelsea! Building and renovating is a process laden with creativity and hard builders waste disposal work, and the possibilities are often endless. You could change the composition of your home by knocking walls down or adding doors and windows, or add new rooms altogether. So either you've had some work done around the house, or you've had something added, like a conservatory or porch. Either way, chances are there's some mess and debris left over at the end. It's a fair assumption, but thankfully it's a mess that's easy to clear up. All you have to do is get in touch with a local builders waste disposal service, and Rubbish Removal Chelsea provides some of the best builders waste removal services in Chelsea. There are many potential messes to be removed from an area where building has taken place. Plasterboard, timber, cement, wiring, tiles and ceramics are just a few examples. There's no need to worry though - our SW3 based construction clearance services have got all of it under control. We'll dispatch a team of professional and well mannered staff, who'll clear up all of the building debris, and make sure the place is swept up before they leave. 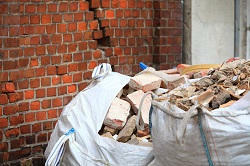 Our experienced builders waste removal staff have all of the tools and experience to make any clearance task a breeze. And that's not all, we'll make sure that as much of the waste that we remove is recycled, or at least disposed of in an environmentally friendly way. We do our best to make as little impact on the environment as we possibly can. If this sounds good to you, then call us on 020 8396 7187 for more information and a free, no obligations price quote. 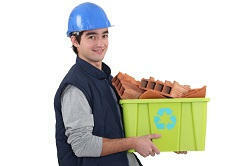 Speaking of prices, our builders waste disposal services are affordable as well as green. You save money on this particular service because you only pay for the amount of junk that needs to be cleared. That means unlike skip hire, which come in specific sizes, you're not paying for empty space. You're paying for efficiency and convenience – and that's why our builders waste disposal services come highly recommended by our loyal Chelsea consumer base. So if you want to save time, money and effort on builders waste clearance services in the SW10 area, do yourself a favour and give us a call. Here at Rubbish Removal Chelsea we provide safe building junk removal at a very low price, so you can relax and let the professionals take care of things. We're easy to hire too – just call our friendly offices on 020 8396 7187, and our staff will work out an arrangement that suits your schedule – even if it's late or on the weekend. All that's left to do after that is to enjoy your newly refurbished home! You could think about what you could do with the space, or get started on the decorating. Things like this are easier to take care of when you're not stressed, which is why our construction clearance services and similar clearance packages are available. Our phone number one last time is 020 8396 7187 and we operate local to Chelsea seven days a week. So if you've got any questions or queries on our rubbish removal services, be sure to throw them our way!